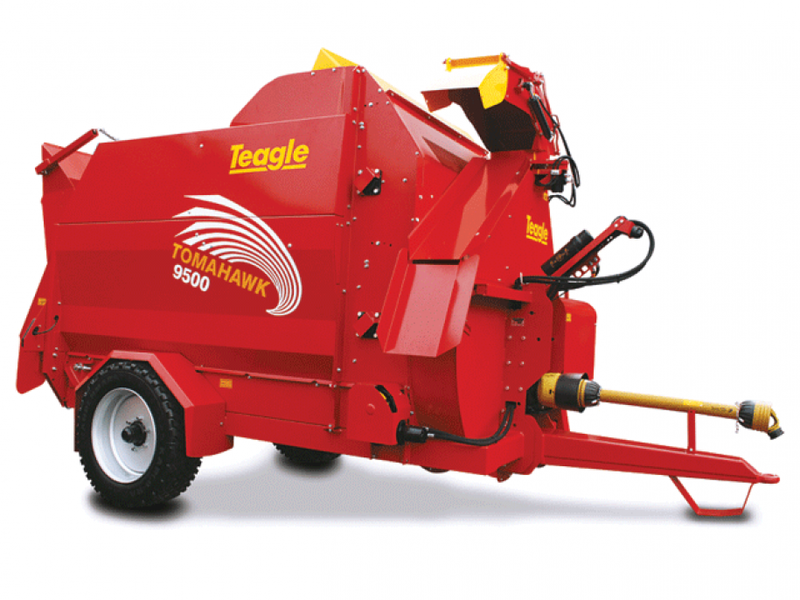 Teagle’s ranges include the Tomahawk feeder bedder, Titan rear discharge muck spreaders, a comprehensive range of Fertiliser Spreaders, the Super-ted swath conditioner, and a range of grasscare equipment from Finishing and Roller Mowers to Pasture Toppers and Flail Mulchers. Teagle also offer quality arable equipment including the Polymat pneumatic drill, disc and tine cultivators from the Multidisc and Vario ranges and the Roterra power harrow. A High Capacity Mill for processing dry materials such as straw and miscanthus to a consistently short length for Bedding, Feeding and Biofuel Applications. Calibrate material length from 20mm to 100mm. 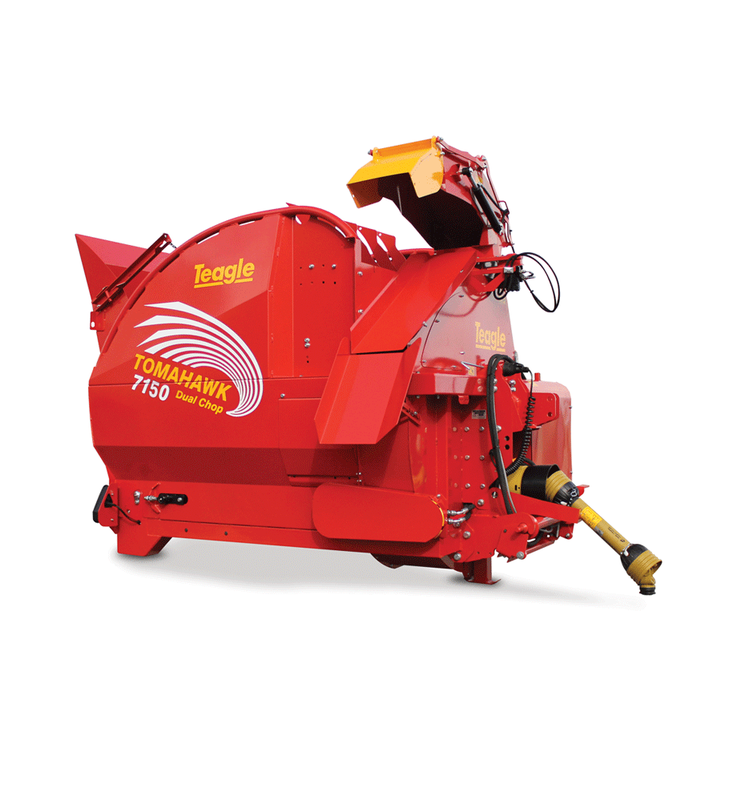 Teagle manufacture a specialist range of drum type Bale Processor which are easy to use, simple and reliable. Various rotor systems offer solutions from pre-processing straw for feed to delivering baled silage to a barrier. Tomahawk C12 Calibrator Bale Processor A High Capacity Mill for processing dry materials such as straw and miscanthus to a consistently short length for Bedding, Feeding and Biofuel Applications. Calibrate material length from 20mm to 100mm. 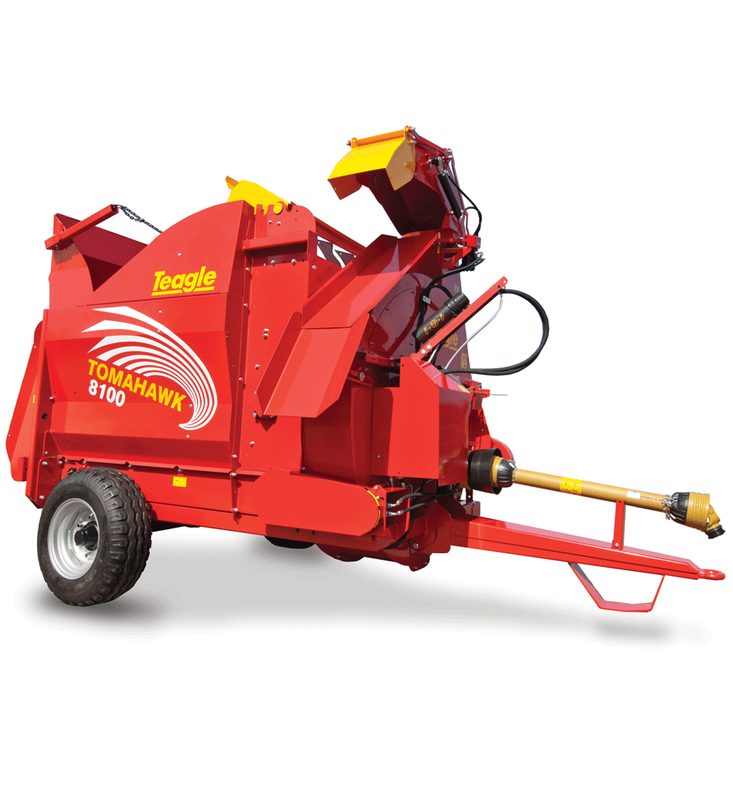 Provide an even and absorbent bed of straw with a Tomahawk 8100. Silage that is lightly shredded with a Tomahawk 8100 is more palatable and easily consumed. Wide body ensures easy loading and offers 4.5m³ capacity, for feeding baled and clamp silage. 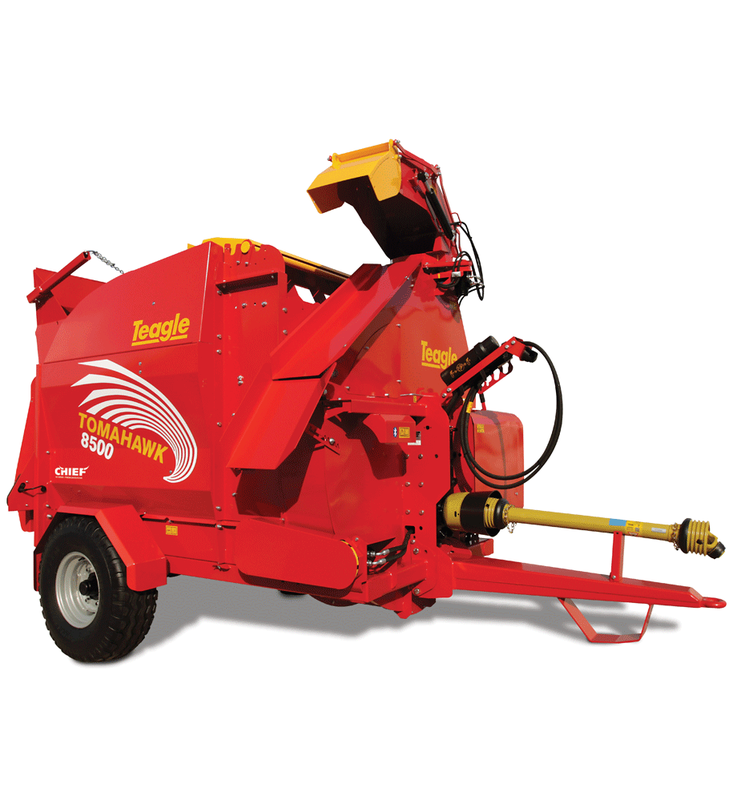 Larger fan in a Hardox housing spreads straw up to 22m from rectangular or round bales. 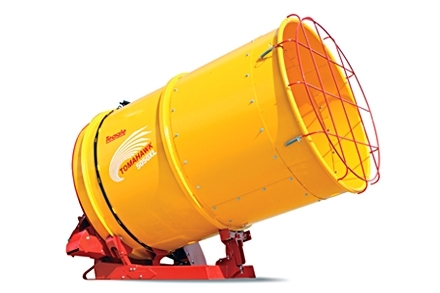 Greater output, a more consistent feed rate and controlled delivery at low fan speeds. Large diameter fan in a HARDOX housing spreads straw up to 22m and feeds clamp or chopped bale silage. The Tomahawk Drum models are economical, simple and robust. There are no gearboxes, with the drive to the rotor being direct from the tractor, a hydraulic motor is used to rotate the drum. Due to their simplicity and strength, customers can expect a long service life from their Tomahawk. Provide an even and absorbent bed of straw with a Tomahawk 7100. Baled silage that is lightly shredded with a Tomahawk 7100 is more palatable and easily consumed. Also available with Side Chute or ‘Dual Chop version’ for long or short straw at the touch of a button. 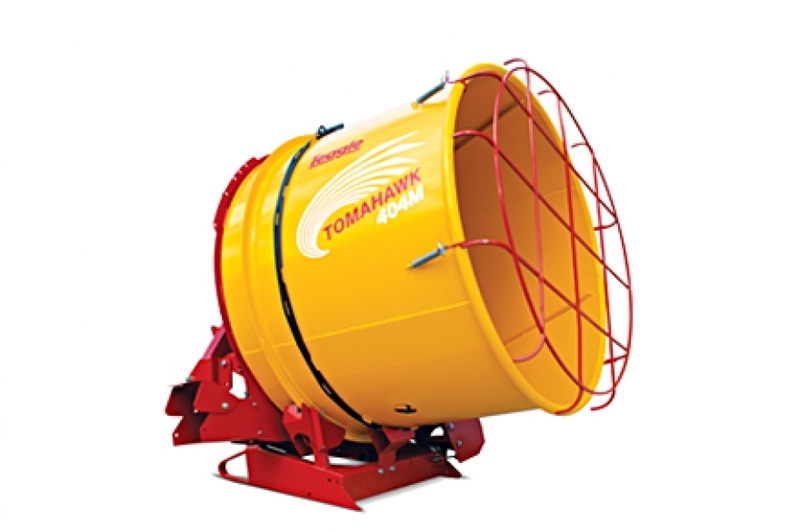 Provide an even and absorbent bed of straw with a Tomahawk 1010. 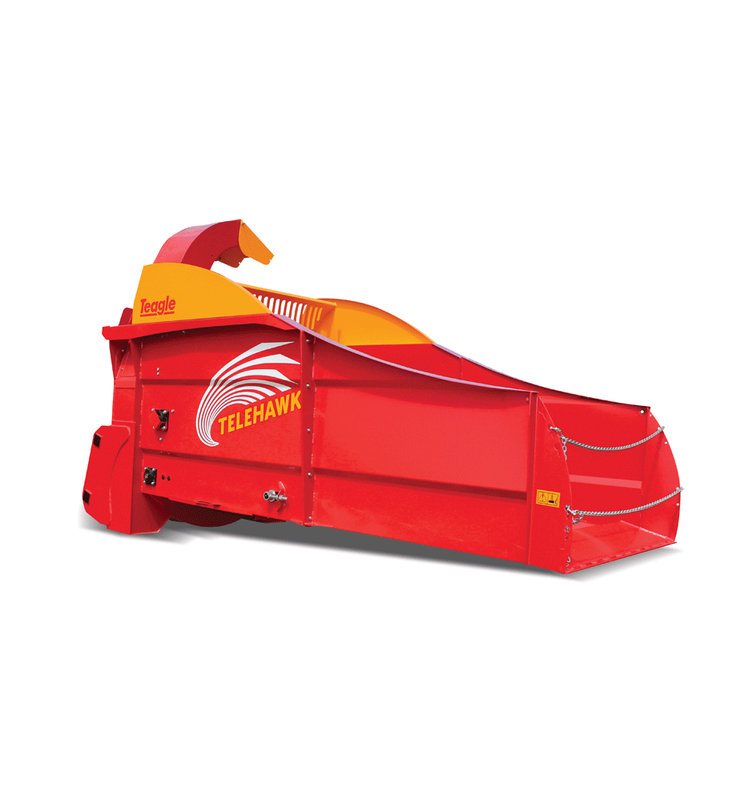 Wide body ensures easy loading and offers massive 10.0m³ capacity, for feeding clamp silage. Outstanding ‘Flow Plus’ Performance to save you money. 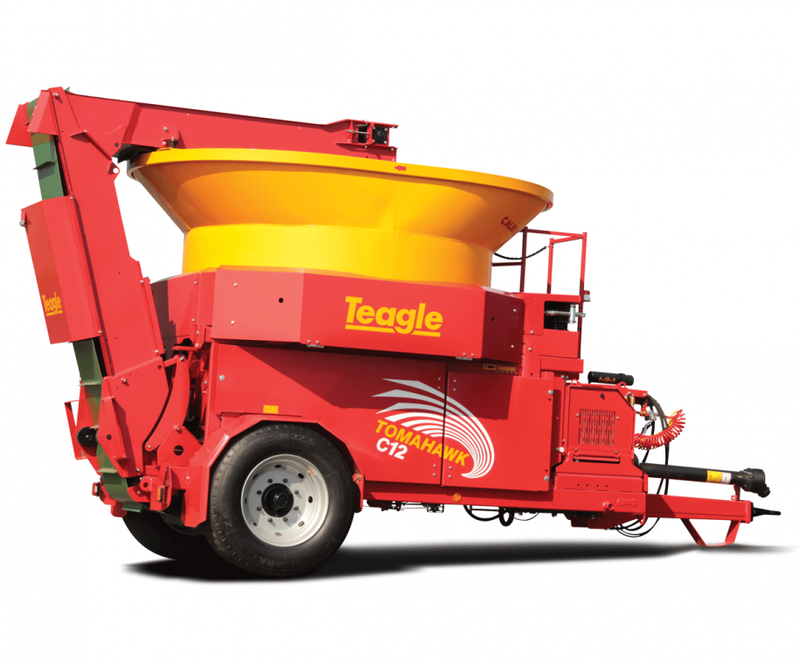 Teagle are the only remaining manufacturer of tractor mounted fertiliser spreaders in the UK. Through the innovative quadruple overlap spread pattern delivered by our twin disc spreaders we have built a reputation for no-nonsense accuracy. 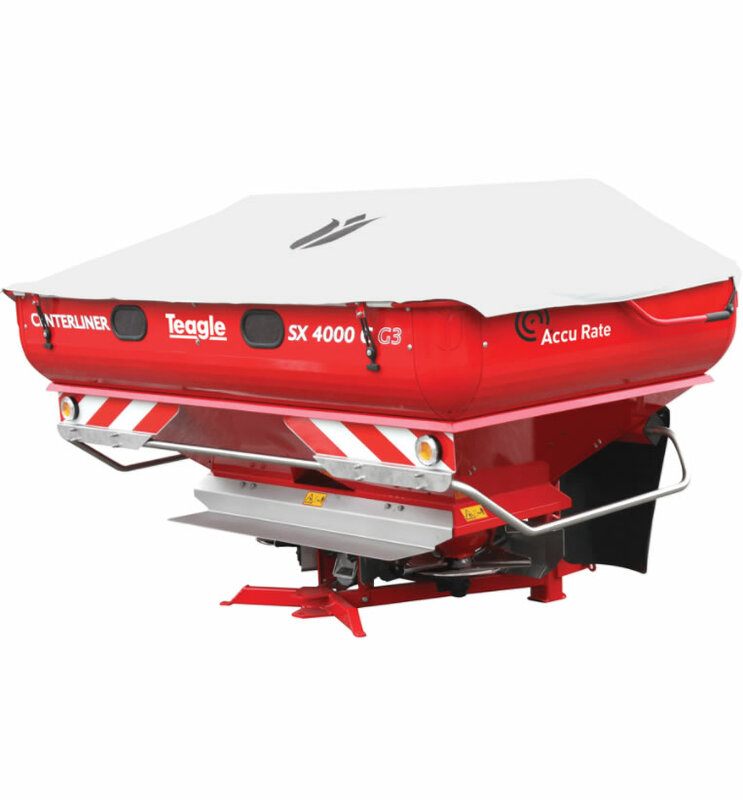 Our single disc spreaders are also straightforward to set, operate and maintain. All machines in the XT range have durable plastic hoppers, a shot blasted and powder coated frame, and a 3 year warranty on non-wearing parts. 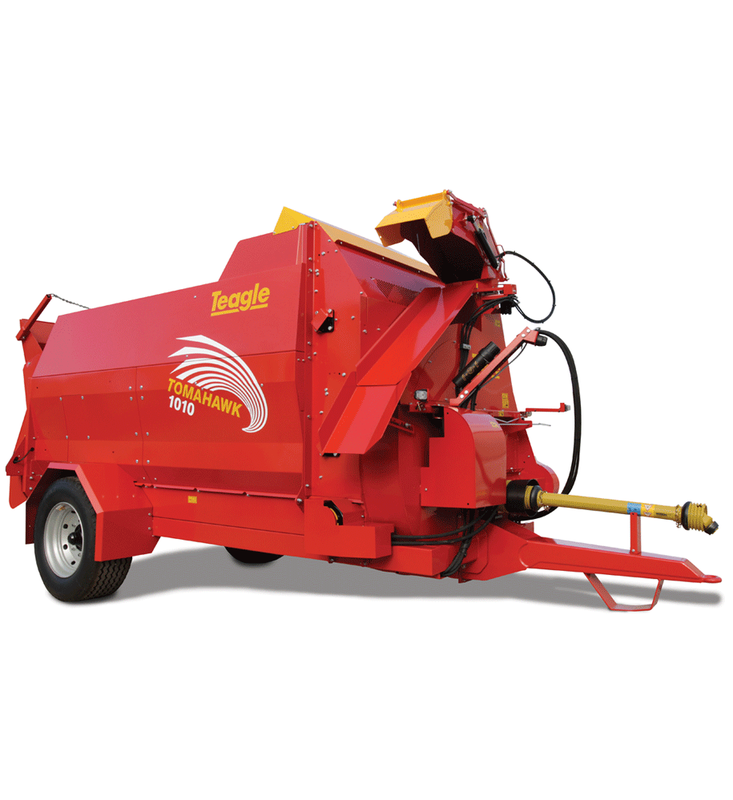 To complement their range of grasscare equipment, Teagle entered a partnership with Italian manufacturer Berti in 2001 to supply flail mowers throughout the UK. Teagle has developed a reputation for supplying and supporting high quality tractor and excavator mounted mulchers and have seen demand for machines from the Berti range go from strength to strength. 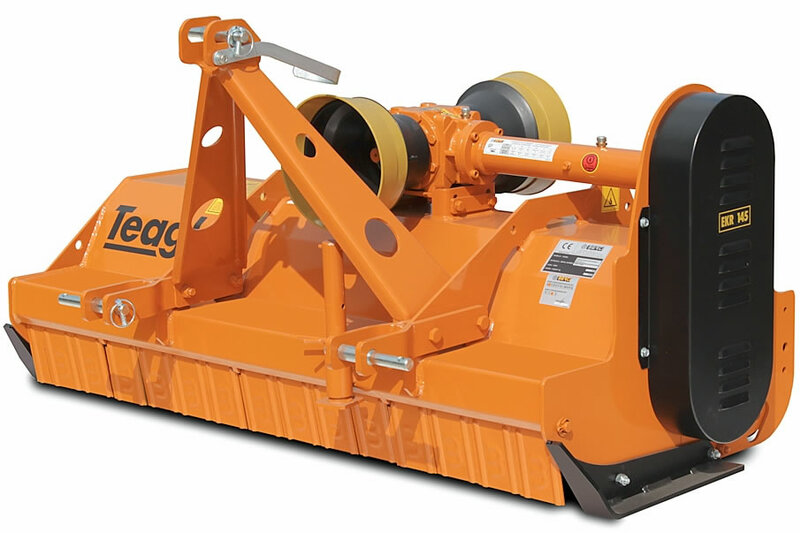 Teagle now offer over 60 different models, from a Mini Garden flail mulcher for a 12HP compact tractor through to Forestry Mulchers for tractors up to 300HP.